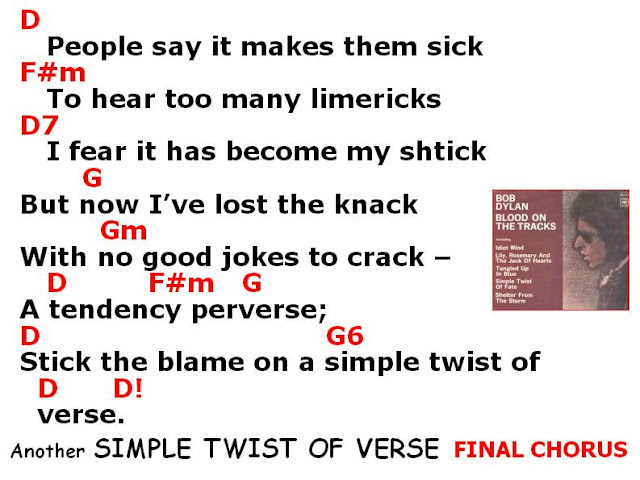 PARODY-LYRICS, based on classical poetry (limericks), a continuation of Post #127. 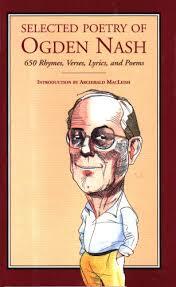 ORIGINAL POETRY: For this post the classic poetic 5-line verses are taken primarily from the extensive work of Ogden Nash. 7. " A flea and a fly in a flue" - author unknown, attributed to O.N. Clearly from O. Nash’s limerick verse. Her critics in this controversial verse. Garments always were in patches. Apart from this simple twist of verse. To fuss with a simple twist of verse. 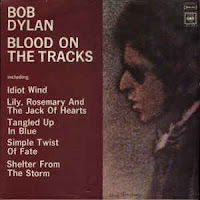 This song continues at post #149 - "Bob Dylan Sings Even More Classic Limericks".